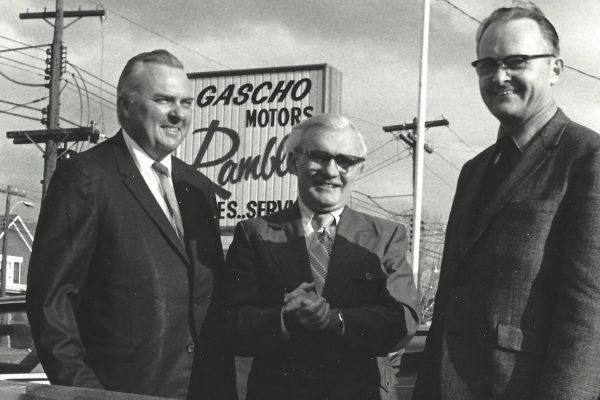 Gascho Automotive is owned and operated by Dave Gascho, the third generation of Gaschos to run the business. Dave and his helpful team continue the legacy of honest, helpful service that was started over 90 years ago by Dave’s grandfather, Emanuel. Today, Gascho Automotive is a leading automotive services business in Kitchener-Waterloo. The team and family at Gascho Automotive have been helping Waterloo Region folks buy and service their vehicles for over 90 years. As a long-standing family business, our reputation is everything — and we back it up with consistent, friendly, and honest service. Explore our hand-picked inventory of used vehicles today. Copyright © Gascho Automotive. All Rights Reserved.